The three appointments are expected to inject new impetus in the local arts scene, by providing strategic points which interweave while remaining distinct, creating an overall coherent arts and culture strategy in the run-up to Valletta as a European Capital of Culture in 2018. This has been happening over the past year or so. 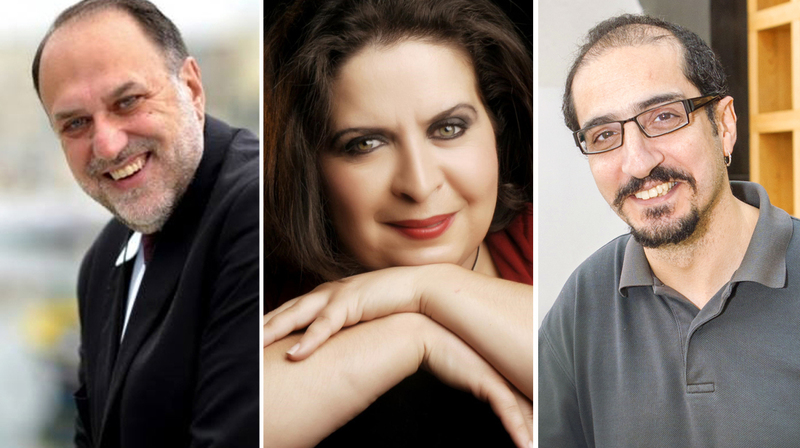 Mario Philip Azzopardi will take on the role of Valletta 2018 Foundation artistic director as from 1 January 2015 while Dr Michelle Castelletti was recently appointed artistic director of the Malta Arts Festival and Dr Toni Sant has been announced as artistic director of St James Cavalier Centre for Creativity. Best-known for his timely and thought-provoking plays and his work in film, Mario Philip Azzopardi, new artistic director for the Valletta 2018 Foundation, is an artistic practitioner, director, administrator, producer, and original creator of products and events. By the time he was 17, Mr Azzopardi had written, produced and directed three of his original theatre works at the National Children’s Drama Festival, winning awards for three consecutive years. At the age of 21, Mario Philip founded the Royal University Students Association (RUSCA), where he directed the first Maltese full-length feature film called Gaġġa (The Cage). Extensive TV and theatrical work followed. When his original play Sulari fuq Strada Stretta was banned from the National Theatre due to censorship issues, he emigrated to Canada. The same play was successfully presented to sold-out houses at the Manoel Theatre 30 years after it was banned. His stay in Canada led Mario Philip to gain considerable experience in North and South America and Europe, where he was one of the early pioneers who ventured in the untested experiment of producing American programming abroad. He has directed over 300 hours of prime time American television for top US production houses, including MGM, DISNEY, HBO, WARNER BROS, CBS, NBC, CBC, among others. More recently, Mario Philip has set up Staġun Teatru Malti, a private company that commissions, develops and produces ground-breaking plays in Maltese. Under his management, STM presented seven original new plays in Maltese in the last six years, two of which he wrote and directed. Last year Mario Philip produced, directed and wrote the first Malta/Canada co-production SAUL: the journey to Damascus, currently being distributed worldwide by E-ONE Entertainment. As Artistic Director for Valletta 2018, he aims to research, discover and understand local needs, aspirations and expectations with the help of a specialised team to support innovative programmes, inspired by local talent, to leave a long-lasting legacy. Dr Castelletti is expected to bring the same energy and vision which she has shown throughout her career to date to her new position. Following a Masters in Conducting (second study, Composition) in the UK, Dr Castelletti was appointed Festival Manager of Sounds New Contemporary Music Festival in Canterbury. Under her management, the Festival won the prestigious ‘Destination Canterbury Award’ for bringing the most national and international recognition to Canterbury. Soon after her PhD, Michelle moved to Manchester where she became Artistic Director at the Royal Northern College of Music (RNCM). Michelle strives to bring in an incredible breadth of artists and variety of styles to the artistic programme. The new MAF artistic director has been at the forefront of change wherever she has been including, most recently, a £7 million project with the opening of a state-of-the-art concert hall at the RNCM this November. She is a strategist, focuses on artistic integrity and excellence within a framework that allows growth, credibility as well as sustainability. Dr Castelletti forms part of What Next North West group and ‘Culture on the Corridor’ in Manchester. She is also a Trustee of the Piccadilly Symphony Orchestra. Dr Toni Sant is a Reader in Digital Curation at the University of Hull and Senior Fellow of the Higher Education Academy in the UK. He started his career as a professional broadcaster in Malta, working as a producer/presenter as well as director on a number of radio and television productions between 1986 and 1998. He read for a B.A. (Hons.) in Theatre Studies at the University of Malta, and continued his studies with an M.A. and Ph.D. in Performance Studies from New York University. In 1999, he started lecturing about performance and creative technologies with visiting lectureships at the University of Malta, Adelphi University, at New York University, and the School of Arts & New Media at the University of Hull in Scarborough, where he was Director of Research before taking up this post at St James Centre for Creativity.